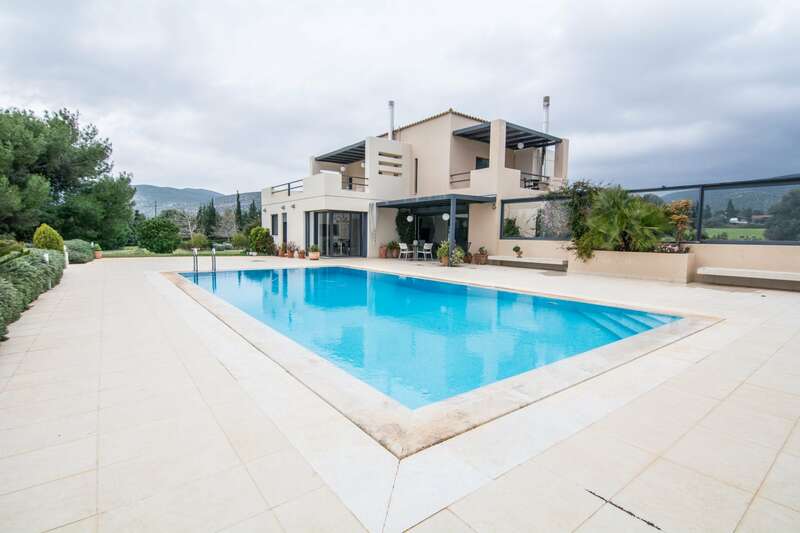 A magnificent villa with great views in Stamata, located at the green suburb of Dionysos. 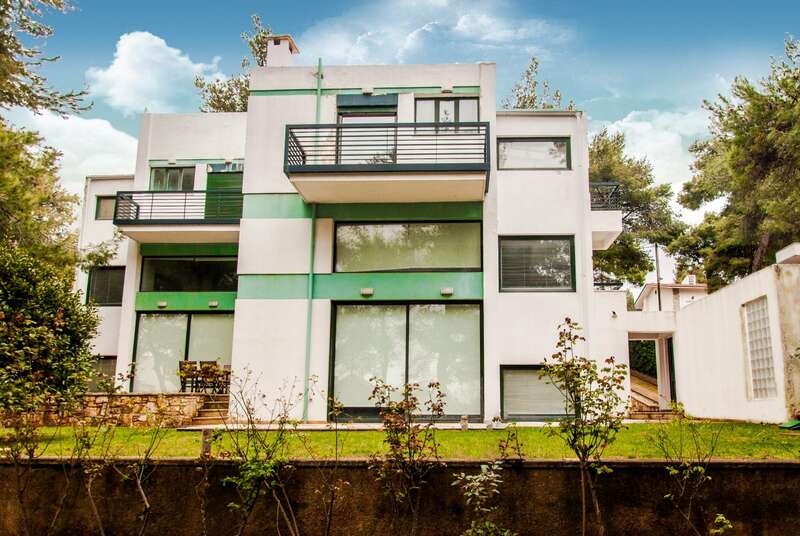 The property is designed by a well-known Greek architect with stone masonry, wood and concrete. It has a total of 650 sq.m. of which 450sq.m. are habitable. On the first level there is a lovely lounge with a fireplace and a dining area with an impressive wooden roof and a large glass window with a beautiful green view, a kitchen, a toilet room, a laundry and a service room with a bathroom. On the loft there is a guest room with its own bathroom and sitting area. 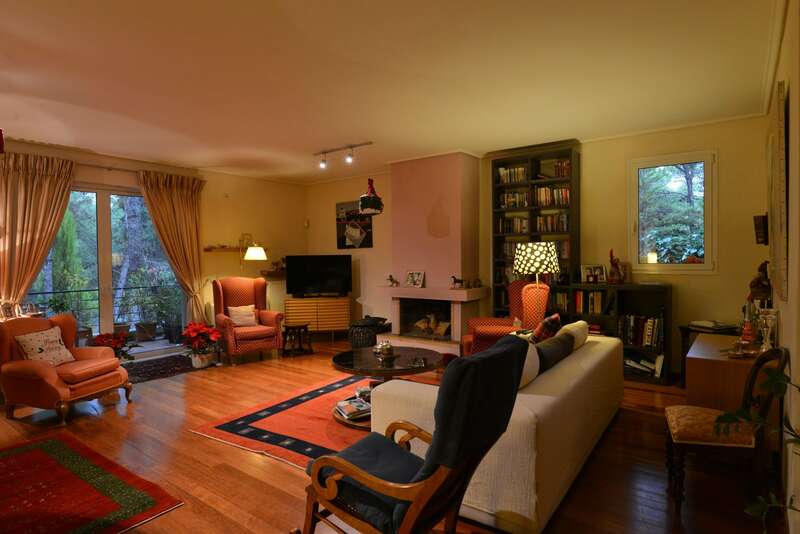 There is also a large terrace of 100 sqm. On the lower level there is a master bedroom, 2 bedrooms with a shared bathroom and a large study room/library. This floor has an indoor heated swimming pool 5x10m, a sauna and a bathroom. The remaining 200 sqm can be converted into a residence. 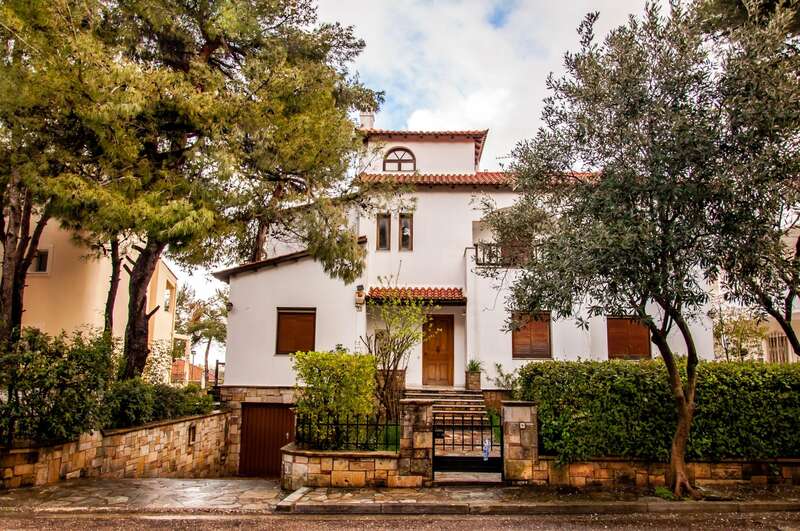 The property also features a beautiful garden with charming alleyways, stone benches and a small lake.